The statute of limitations that applies to personal injury lawsuits related to car accidents in Texas is two (2) years. In almost all lawsuits, a procedural rule known as a statute of limitations applies. A statute of limitations is a law that prevents people from bringing a lawsuit after a certain period of time has passed. If you file a lawsuit after the statute of limitations applicable to one of your claims has run, you might be barred from having that claim heard by a court of law. This is true regardless of how strong your case is. Wondering if you have time to file a claim? Many people who have been involved in a car accident in Texas come to us with questions about how the statute of limitations might affect their case. 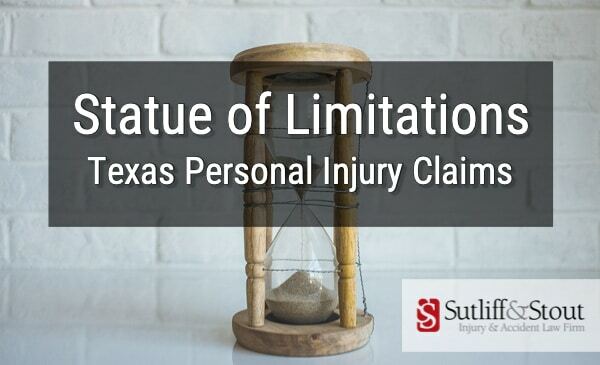 This page contains some basic information about personal injury statutes of limitations in Texas, and is not intended to be legal advice. An experienced car accident injury attorney can help you better understand how these rules will impact your car accident lawsuit. We have tried to answer some of the most frequently asked questions about statutes of limitations here. The statutes of limitations for Texas car accident and personal injury lawsuits will be discussed more fully below. A statute of limitations is a rule applied by the courts that involves the timing of a lawsuit. You only have a certain period of time to bring a lawsuit after an accident or injury gives rise to what is known as a cause of action. To many people, statutes of limitations seem unfair or harsh. Typically, these rules are applied strictly by Texas courts. A statute of limitations can prevent your lawsuit from being heard even if it is very strong or compelling. You only have so much time after a car accident to bring a lawsuit against the people or parties responsible for your injuries. This is one of the many reasons why it is so important to contact a reputable car accident lawyer as quickly as possible after you are in an automobile accident. In Texas, different statutes of limitations apply to different types of claims. These rules will be discussed more thoroughly below. Statutes of limitations have been used by courts for hundreds of years. One of the main reasons we have rules known as statutes of limitations is to protect defendants. These rules encourage plaintiffs (the people who file lawsuits) to pursue their lawsuit with reasonable diligence. Statutes of limitations also guarantee that important evidence will not be lost over time, and that witnesses who testify in court will be able to draw on recent, reliable memories. As an example, a jury would have a hard time trusting witnesses called to testify about a car accident that occurred 15 years ago. Their memories of the accident might be fuzzy or even nonexistent. Moreover, someone who was involved in a car accident that occurred so long ago would not expect to be sued as a result of the accident. Finally, any evidence about the accident may have been lost or destroyed over the course of 15 years. Courts are unwilling, for public policy reasons, to hear lawsuits involving events that occurred a long time ago. How is the Statute of Limitations Calculated? Generally, the limitation period set forth in a statute of limitation begins to run (or “toll”) when the event upon which a lawsuit is based occurs. For example, if you were in a car accident in Houston on October 25, 2013, you would probably have two years from the date of that car accident to file a lawsuit (until October 25, 2015). It is important to understand that your case does not need to be tried by a court or heard by a jury in that time period. The statute of limitations requires only that you file a lawsuit within the set period of time. In some cases, it is very easy to calculate when the limitation period for a particular claim will expire. The statute of limitations applicable to most claims for property damage in Texas is two years. If you are in a car accident, your car and other property was damaged on the date the accident happened. As discussed above, it can be difficult to calculate when the limitation period for certain types of injuries expires. An experienced personal injury lawyer can help you understand whether you have extra time to file a lawsuit, and may be able to argue that your claims are still valid before the court. 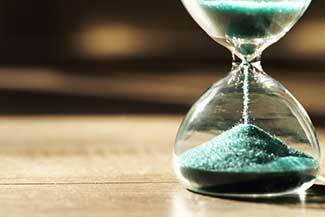 The statute of limitations is often a significant legal issue in “delayed discovery” cases. What is the Statute of Limitations in Texas for a Car Accident Case? The following statutes of limitations apply to most car accident lawsuits in Texas. As discussed above, it may be difficult to understand exactly when the limitation period applicable to your claim began. This is referred to as when a cause of actions “accrues” in the Texas Civil Practice & Remedies Code. PERSONAL INJURY. Generally, claims for personal injury must be brought within two years of the date the cause of action accrues. See Tex. Civ. Prac. & Rem. Code § 16.003. PROPERTY DAMAGE. Generally, claims for property damage must be brought within two years of the date the cause of action accrues. See Tex. Civ. Prac. & Rem. Code § 16.003. WRONGFUL DEATH. Generally, claims for wrongful death must be brought within two years of the date of the death of the injured person. See Tex. Civ. Prac. & Rem. Code § 16.003. The Houston car accident attorneys at Sutliff & Stout can help you understand how long you have to file a lawsuit after your car, truck, or motorcycle accident. To discuss your case, call us today at (713) 987-7111.